The Asia branch of the Los Angeles-based premium denim brand, Denim of Virtue, is now launching Polygiene treated jeans. The launch is mainly made via the national Hyundai TV shopping channel and started on June 25. “Denim of Virtue is searching for fabrics with state-of-the-art technologies that provides a comfortable denim with exceptional performance, and the Polygiene Stays Fresh technology helps us deliver on that. 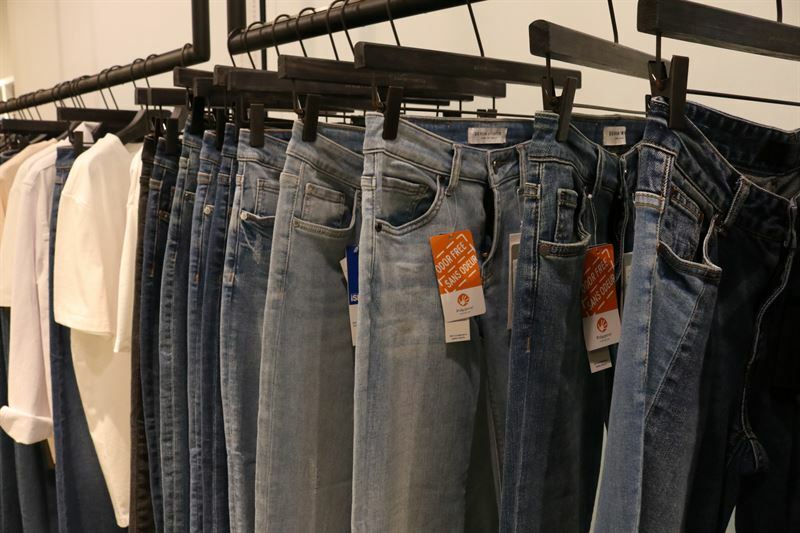 As the denim stays fresh, it can be washed less and will keep its original shape and feel longer”, says Christine Jun, CEO of Denim of Virtue Korea. The aim is to treat a major part of the Denim of Virtue-jeans sold in Korea, starting with the initial launch of designer jeans that stays fresh. Sales via TV shopping channels is common in Korea and the launch is made via one of the major players, Hyundai TV shopping channel, that is part of the Hyundai business group. “We are excited to see growth in the denim market, as Korea now is following Japan where treated denim was launched earlier this year. Polygiene Stays Fresh Technology adds functionality and performance to a pair of jeans and is perfect for denim that should not be washed too much. We are looking forward to following the development in this area and specifically with Denim of Virtue”, says Ulrika Björk, CEO of Polygiene. Since 2006, Denim of Virtue combines traditional American heritage and intrinsic craftsmanship with a more contemporary artistic design that appeals to a much more wider range of generation of individuals. Each garment is unique, wear and wash tested to provide the veritable perfect fit and exquisite wash. We strive to create the ultimate denim that reaches far beyond achieving the perfect fit and wash. Our limitless efforts include searching for the most suitable fabrics embedded with state-of-the-art futuristic technologies, ultimately results in a comfortable denim fabric with outstanding performance.